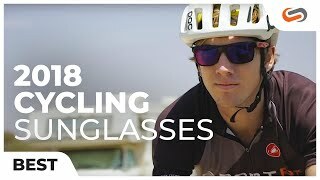 Tifosi Synapse sunglasses are constructed with a grilamid Tr-90 frame, making these glasses incredibly lightweight and durable. Synapse has an open lens frame that will provide an unparalleled field of vision. Synapse frame features: Hydrophilic rubber, adjustable nose and ear pieces. The vented lenses will allow airflow and prevent fogging. Synapse lenses are also scratch resistant, glare guarded, and optically decentered. Looking for them in prescription? Contact one of our expert optican at SportRx and they'll help you craft your Tifosi Synapse Prescription sunglasses.